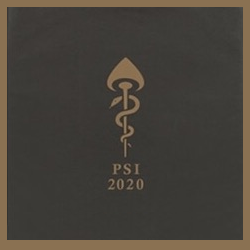 In September of 2018, Portland, Oregon psychotherapists Tom and Sheri Eckert launched the Psilocybin Service Initiative of Oregon (PSI 2020), a ballot initiative campaign aiming to legalize access to psilocybin-assisted therapy. Completed in the summer of 2018, PSI 2020 is a carefully crafted piece of legislation. It defines a regulatory framework to allow access to guided psilocybin services in the state of Oregon. It also includes a tiered scheme to lower penalties in relation to the unlawful possession of psilocybin in Oregon. The proposed legislation is currently advancing as a ballot initiative measure aimed at the 2020 election cycle. The initiative campaign, led by PSI 2020 and the Oregon Psilocybin Society, is currently working to gather over 100,000 petition signatures to secure inclusion on the 2020 ballot.